Can’t get to the Emirates? Can’t find it on television? We’re able to help offer Arsenal match live streaming on all fixtures. With Arsenal constantly being shown live nearly every week it’s important as a fan to catch as much of the action as possible, especially if you can’t be there in person. You can watch Arsenal live with a flexible and affordable subscription that are available online and on your smart television. You can usually cancel your subscription anytime too, so why not get started with Sky Sports, NOWTV, BT Sports – see which one is best suited to you. 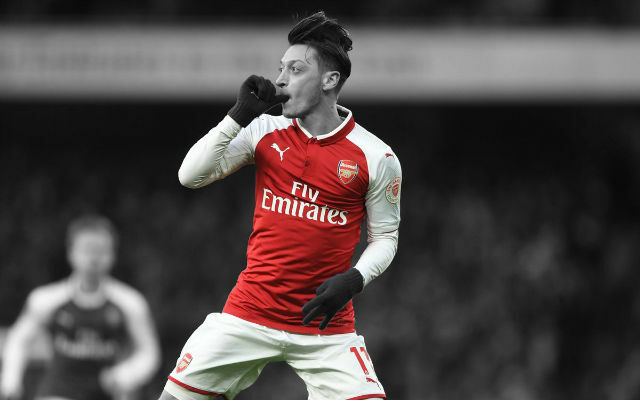 Watch the Gunners live and then why not sign up and bet with bettingexpert’s bet365 bonus code to enhance the live-action. Betfair is Arsenal’s official betting partner and Gooners can get special offers just for being Gooners. To access the site’s streaming page, head to the ‘Live Video’ section of the website. All you need to do is make a minimum bet of £5 in a relevant market if you are UK based. You can catch some European matches on the site and aside from Arsenal, there are hundreds of matches available to stream. Paddy Power’s selection is perhaps the smallest of the five. The site doesn’t offer anywhere near as much choice as some of its rivals but what it lacks in choice it makes up for in ease of use. The ‘Watch Live’ tab is clearly visible from the front page and you can watch along with just a £1 bet. Ladbrokes is one of the most popular betting sites on the planet and its streaming service isn’t too bad. It is as easy to use as any other and is one of the few sites out there where you can watch action from the Europa League. The best thing about it all is it’s free! All you have to have is a registered Ladbrokes account with some money in it and you can keep up with the action. Coral has one of the best selections of streams on any betting site. It’s incredibly easy to use and can be viewed, just like many others, with a minimum deposit of £1. You can also watch along from your tablet or mobile device with the incredibly straightforward Coral App. The problem with most of this is that Premier League match streaming can’t be done in the UK league matches will not be shown on these betting sites but many others from cup competitions will be. Aside from that, the official Arsenal site will stream the majority of pre-season matches and friendlies.